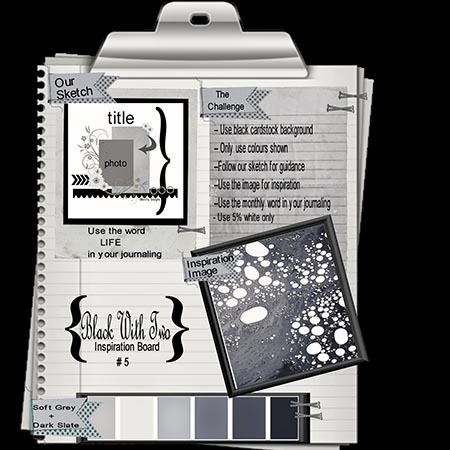 You still have some time to play along with Black with 2 – a fantastic challenge blog that will encourage you to work with predominantly black backgrounds, along with two other colours each month. Meanwhile – the 15th of May challenge is up at Another Freaking Scrappy Challenge –it’s our sketch challenge!! And the 1st of May challenge is still on – our prompt is to scrap a baby photo of yourself and mention anything interesting about it, or your infancy. Go to the blog link to get some more ideas of how to interpret the prompt!!! 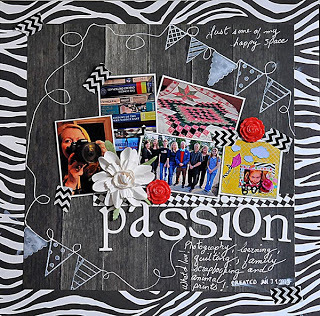 Come join us at Another Freaking Scrappy Challenge where our challenge this month is PASSION – what is yours?? 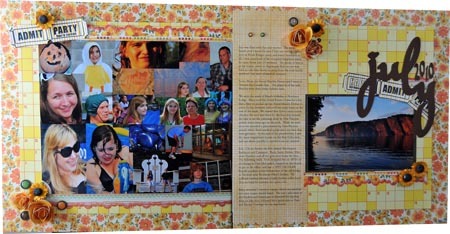 Mine is my family, scrapbooking, quilting, my books/studies, photography and animal prints! 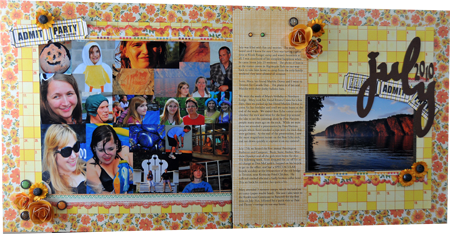 Here is my layout for the challenge, using My Mind’s Eye DillyDally “Best” Checkered paper on the woodgrain side. Come join us – you’ll find us a friendly and inspirational group. 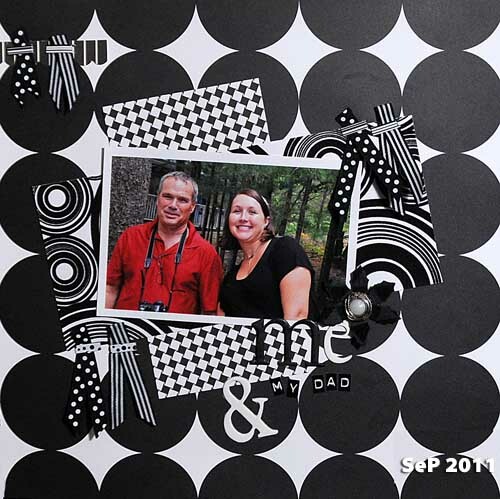 Over at Scrapbookers Anonymous they’ve been celebrating their 1st birthday – I wish them many more because i love them and they challenge me to use up the stash I have hoarded – but mostly I wish them many more because I love them. Some of us on the design team agreed to host a mini-challenge through the month of September to help Lea and Theresa (blog owners) celebrate the blog’s birthday. 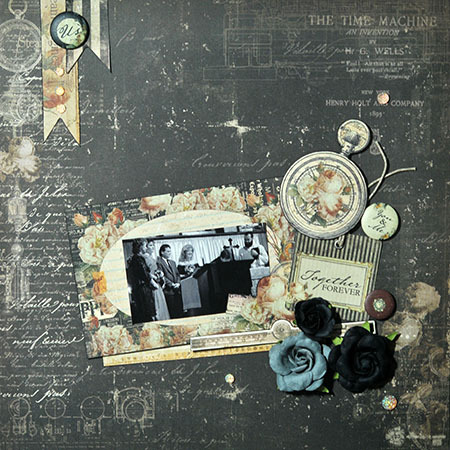 I decided to host a challenge to use a neglected scrapbooking tool. 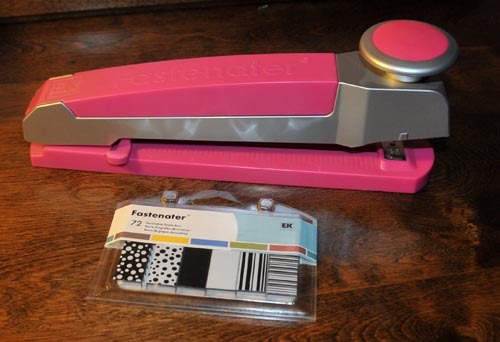 My neglected scrapbooking tool is the Fastenator by EK Sucess. 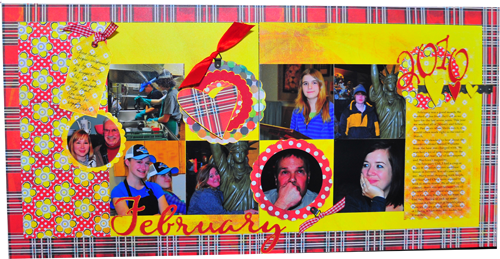 Scrapbooks and Cards Today magazine http://www.scrapbookandcards.com/ Project 12 has been a great idea to encourage scrapbookers to scrapbook their or their family’s year on a regular basis. I have caught up now to July of this year – only two months behind!!! June’s layout used K & Company Wild Saffron paper, July’s used Sassafrass papers. Here is my May layout for Project 12 – was another busy month as usual. I just love this series, it really encourages scrappers to scrap the year’s memories. I’ve been lucky most months this year that I have a photo of some or all of the girls as they’ve been home, or we’ve been visiting! 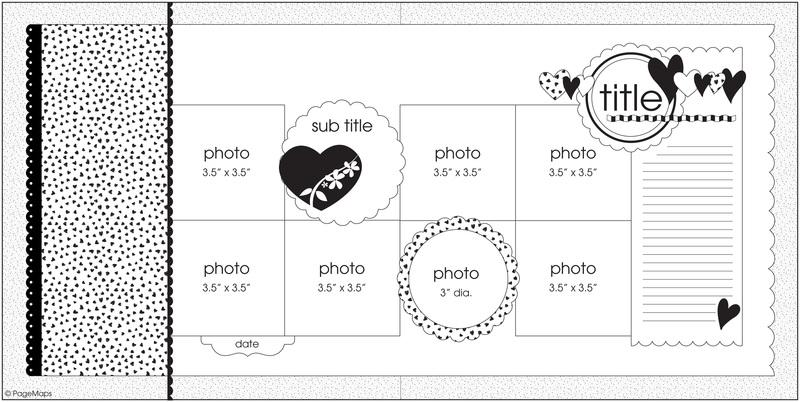 This is the layout, using Making Memories Chloe’s Closet – I pick up a lot of it and the embellishments when Michael’s was clearing it out. Lovely stuff – but I couldn’t justify the regular price! I couldn’t help but think of the Powder Blues song “Thirsty Ears” while I was making this layout for Sketchy Thursdays’ challenge this week. Scott and Chris sure do have a thirst for music, and they seem to have a need to quench another thirst in these two photos. 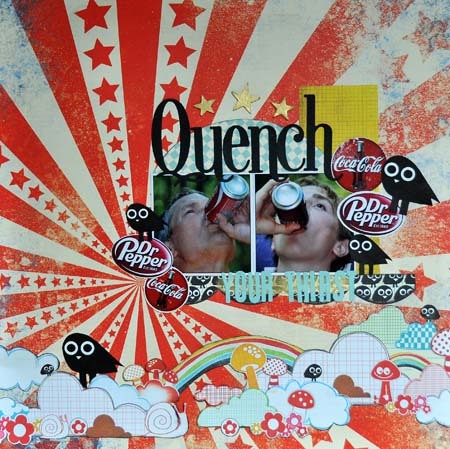 Here is my layout using Bo Bunny Block Party Sparkler and some Sassafrass clouds and birds from their Hog Heaven line. 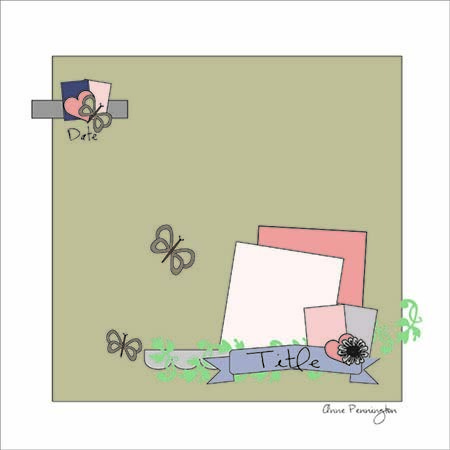 I love this Bo Bunny paper, and there is not very often anything more fun than Sassafrass paper. Photo on the left is my husband Scott, on the right our son Chris, 17 years old. These photos were taken on our camping trip to Presqu’ile at the end of this summer. I just LOVE playing along with these girls! Materials used Basic Grey Ric Rac and Vintage Plaid, Smooch Pearlized Accent Ink for gold painted edging. I own this fun blog … come play with us! The challenges on the 1st of each month run until the end of the month!! Hey, YOU, get on my cloud! I’m a Sketchy Thursdays Fave!! Lizzy Hill on back at it again ..
Wow – 2010 was a creative year!! !